Ideal PR Media is in love with Khalama jewelry because of its organic nature, spiritual meaning and high-end appeal. Khalama spiritual jewelry and accessories collection was created by Gabriela Emma Olivera in Miami, FL. "Khalama,” a Tibetan expression meaning “sky path” is an expression of our path through the natural and spiritual world, and the beauty it entails. 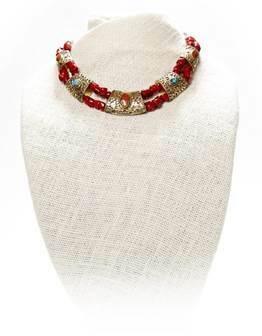 The KhalamaCollection expresses the natural and the spiritual. 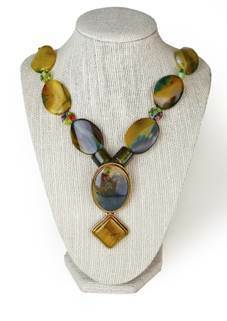 Khalama offers a variety of pieces including necklaces, earrings, bracelets, scarves and handbags. Khalama aims to provide a unique assortment to all women, offering pieces that range in price points from $100 to $2,000. 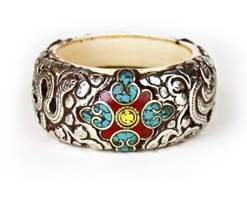 Materials used are Tibetan white silver, brass, copper, semi-precious stones and organic materials such as turquoise, lapis lazuli, hematite, shells, coral, amber, glass and water pearls. Additional pieces can be found here: www.khalama.com.